Once I applied Nubar's Black Polka Dots to Pixi Coral Cabana I thought I'd add the white polka dot version on top to see what it would look like. I do wish the glitter in the white version was actually white, it's more of a silver. It would look so much better on top of black if it was a true white. Love this nail art! 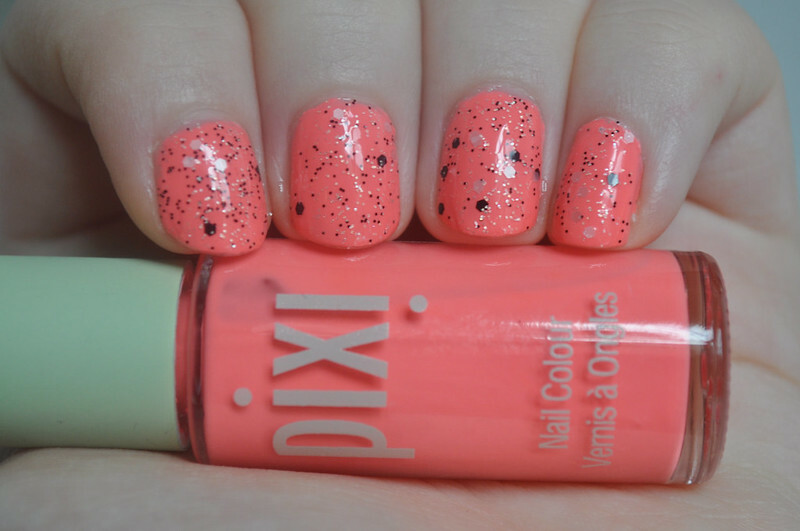 Pixi nail polishes are great- perfect in 2 coats and last so long!